Housing Is the Priority: Housing Courts are set up to handle code enforcement, evictions, and other housing issues on a daily basis. Expertise: Housing Court judges have the expertise to analyze the labyrinth of federal, state, and local laws on housing. Housing Specialists: Only the Housing Courts have Housing Specialists who mediate cases that save the time and expense of litigation. They also perform on-site reviews of property to resolve issues concerning housing conditions. Code Enforcement: Housing Court is set-up to quickly and efficiently respond to emergencies and building, fire, and sanitary code violations. Tenancy Preservation Program (TPP): Based in Housing Courts, TPP prevents homelessness among people with disabilities. User-Friendly: Housing Court has been at the forefront in developing lawyer-for-the-day assistance and self-help forms to serve a large number of self-represented litigants. 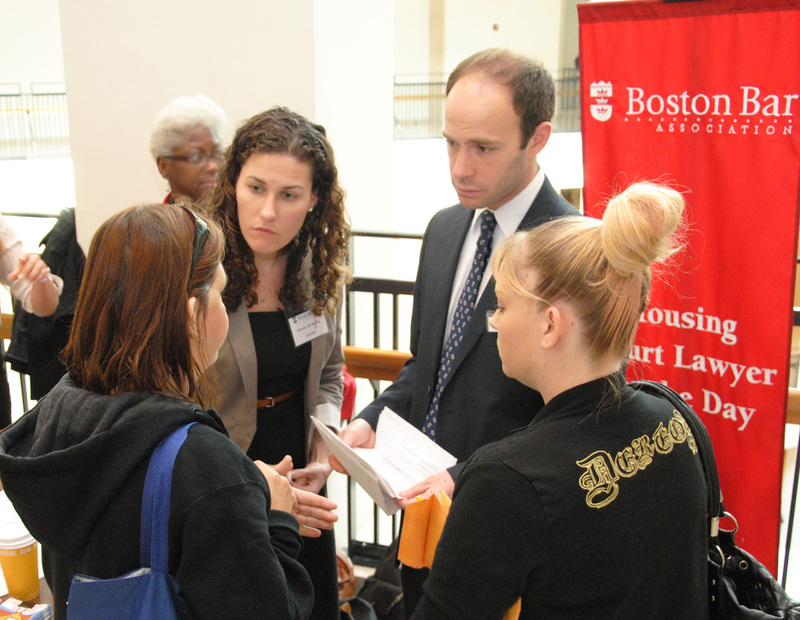 Attorneys volunteer at the Boston Housing Court through the Boston Bar Association’s Lawyer for the Day Program to provide legal assistance and representation to landlords and tenants. Since the program began 14 years ago, 12,000 volunteers have helped more than 15,000 individuals. The program is a collaboration between the Boston Bar Association, Boston Housing Court, Volunteer Lawyers Project of the Boston Bar Association, Greater Boston Legal Services, Harvard Legal Aid Bureau, and the Legal Services Center of Harvard Law School.